Major companies and 13 states are staking out their own positions on climate change. President Trump’s famous refusal to sign the Paris Climate Agreement has been met with criticism, as some say it will cause irreparable damage to the environment. But Trump’s position on this, even if taken for the wrong reasons, has had immediate benefits and will likely have tremendous long-term benefits as well. Let’s take a step back for a minute, not to defend the president’s actions or to argue about whether the science is settled. Instead, let’s judge the immediate result of his decision to withdraw from the Paris agreement. According to Al Gore, “a lot of other countries … [doubled] down” on their commitment to meeting or exceeding the agreement. As of June 1, mayors from 364 cities around the U.S. have said they will adopt, honor, and uphold the accord. 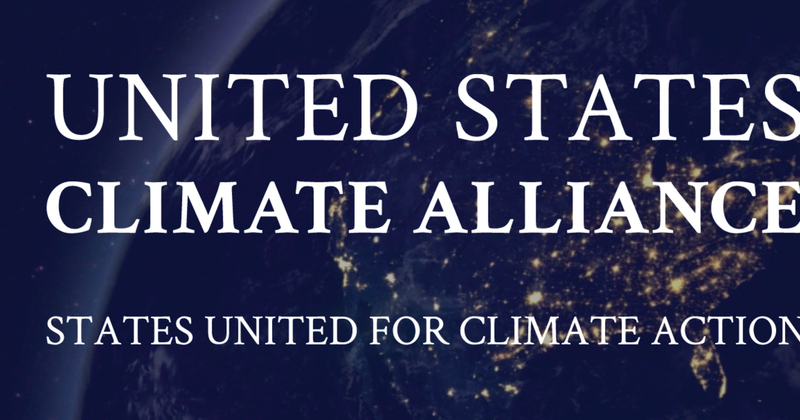 Thirteen states and Puerto Rico have formed the United States Climate Alliance, with their governors pledging to uphold the agreement and to “take aggressive action on climate change.” And 25 U.S.-based companies — including Google, Apple, Facebook, Microsoft, Target, Timberland, Campbell Soup Company and Burton Snowboards — have all agreed to abide by the accord. They have even bought full-page ads in major news outlets committing themselves to doing so. The future will be greener because more consumers are demanding it be so, and businesses will reap more rewards for being seen as eco-friendly. What’s more, the trend seems to be that more and more companies, cities and states will follow suit and join in this pledge to uphold or even exceed the Paris agreement. While environmental activists may claim that this isn’t enough to avoid a crisis, they should celebrate the voluntary commitments that these organizations have made and see them as a clear indication that people are waking up to their cause. The reaction to the Paris pullout makes it clear that no matter what Washington, D.C., does on climate change, a growing number of organized groups will act. But what about the long-term benefits of Trump’s action? When governments impose regulations such as these, industries are likely to respond by doing the bare minimum necessary to comply; nothing less, but nothing more, either. When all companies meet these standards under penalty of law, the consumer learns nothing about the environmental conscientiousness of individual companies because all are simply following the law. What Trump has inadvertently created is room for each of us to make more informed decisions about the type of companies we do business with. If environmental conscientiousness is something that you care about, then companies will have a very strong incentive to provide their wares in an environmentally conscientious and cost-effective way. What’s more, they won’t just meet some agreed-to standards but instead will compete with one another to be the best at delivering their products in an eco-friendly way. In other words, they’ll compete to exceed one another on two fronts: by lowering costs and by reducing their environmental impact. If they can successfully do so, they’ll reap tremendous profits and send a powerful signal to all other companies in the industry that will induce them to follow suit or risk losing business. Further, these changes tend to be longer-lasting, as they do not vary with political winds, which as we’ve seen can change quickly. Instead, they rely on the beliefs of customers, which change much more slowly. All of this leads to what might appear a bold prediction: The future will be much greener than it is today. But this won’t be because of carbon tax credits, multinational environmental agreements imposed from on high, or any other such machination dreamed up by environmental regulators. Instead, the future will be greener because more consumers are demanding it be so, and businesses will reap more rewards for being seen as eco-friendly. If you doubt my prediction, ask yourself a question. Who is most likely to perform a task better: someone who does it reluctantly and under compulsion, or someone who actually wants to do it?